For three days, Kim Young-Ho refused to eat a single spoonful of rice. Instead, he cried. 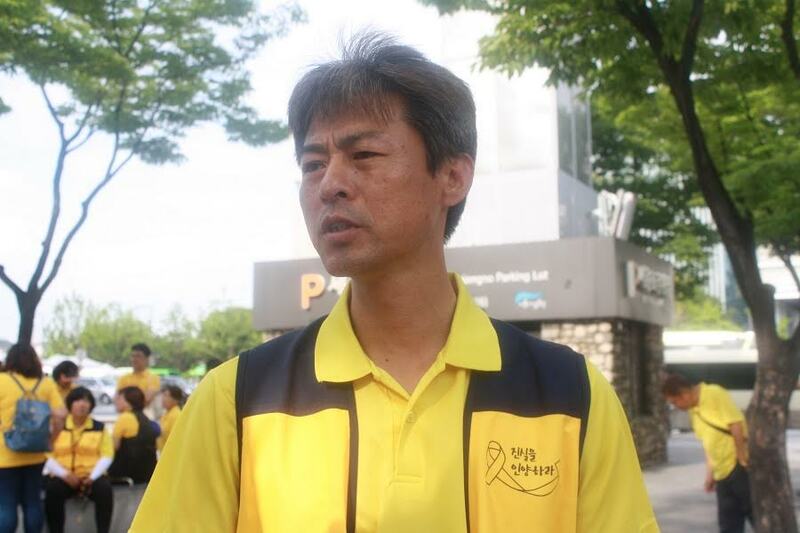 It was April 2014 and Kim was waiting to hear news about his missing daughter, 18-year-old Kim Yu-min, one of the 304 passengers who perished in the sinking of Sewol Ferry. He waited for more than 72 hours to learn whether his missing daughter was miraculously alive or dead, presumably drowned in the Yellow Sea. A phone call from his daughter’s mother informed him of his daughter’s drowning. “I felt like the sky collapsed,” he said. That same grief fuels Kim as he demonstrates against the South Korean government, which recently closed a special committee dedicated to investigating the cause of the ferry sinking. The Ministry of Oceans and Fisheries declared that the committee’s investigation would close on June 30. Kim gained national prominence when he fasted for 46 days two summers ago. He collapsed in downtown Seoul’s Gwanghwamun Square after participating in a hunger strike and was hospitalized in August of 2014. Having nearly starved himself to death, he had been protesting the delay of a bill to establish a special committee to investigate the ferry incident. On the 34th day of his hunger strike, he met the Pope at a beatification ceremony in Gwanghwamun Square and silently clasped his hands. As Kim’s story spread, rumors concerning his personal life also emerged in the media. One report castigated Kim, a divorced father, for failing to give child support to the mother of their two children. Another accused him of being a communist. Kim said such rumors and accusations ruined the camaraderie between himself and his ex-wife. She will no longer share a meal with him, Kim said. After his divorce, Kim could only see his two daughters two or three times a year. Yet his children continued to contact him as much as possible. There’s one memory he cannot forget: Yu-min snuggling right beside him before they fell asleep. Kim and his two daughters were scheduled to spend the rare time they had with one another on Children’s Day – May 5th, 2014. Recalling the last conversation they had together, Kim said Yu-min had been looking forward to attending college. She originally planned on skipping college because her family could not afford it. But once Kim gained a full-time job, that privilege became possible. She was elated. Then Yu-min suddenly died on April 16, 2014. More than two years later, Kim is still protesting in Gwanghwamun Square.